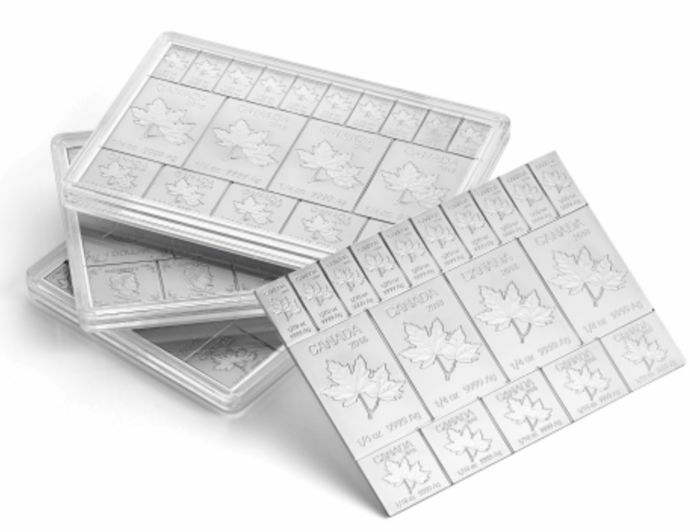 The coin bars consist of 19 coins of specific weight and denomination. 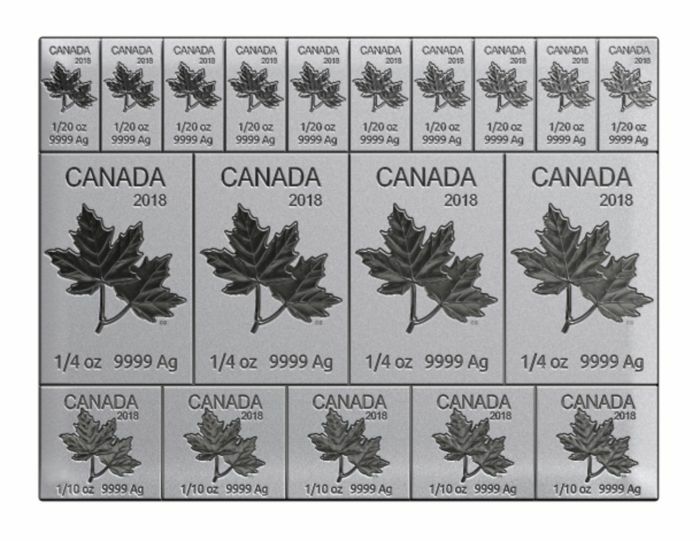 Included are 10 x 1/20 oz., 4 x 1/4 oz., 5 x 1/10 oz. 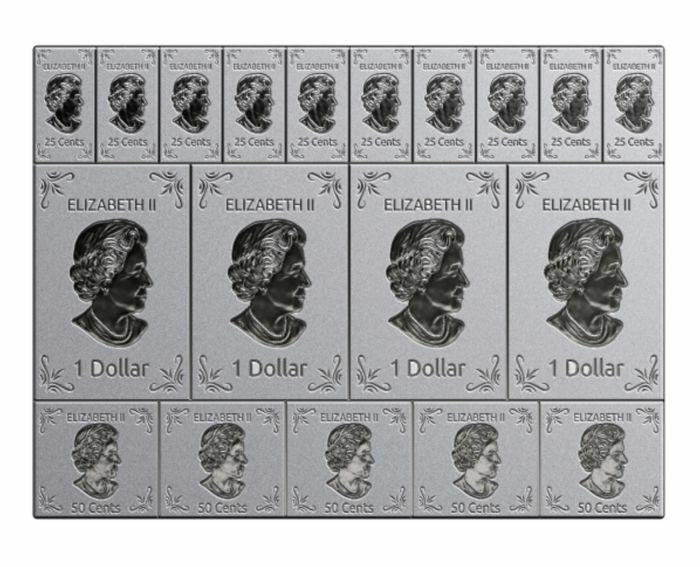 The respective face value (25 cents, 50 cents, and 1 dollar) is engraved on the front of each individual bar. 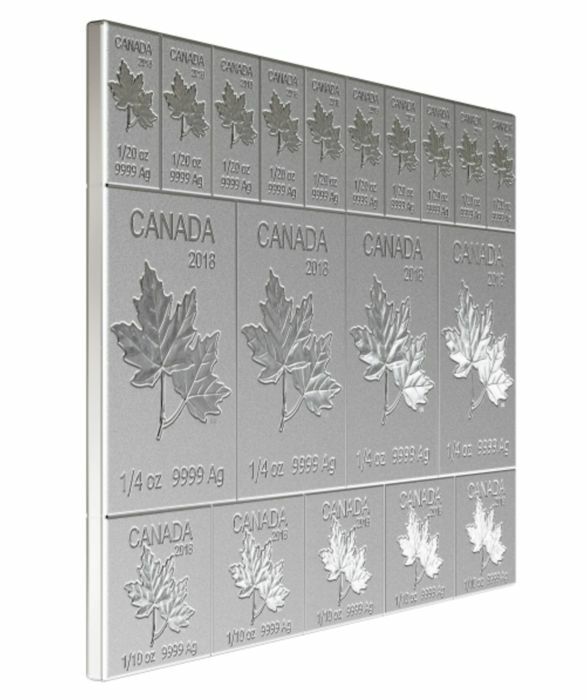 The newly designed, unique grooves on the back of the silver MAPLEFLEX make it possible to break off individual bars. 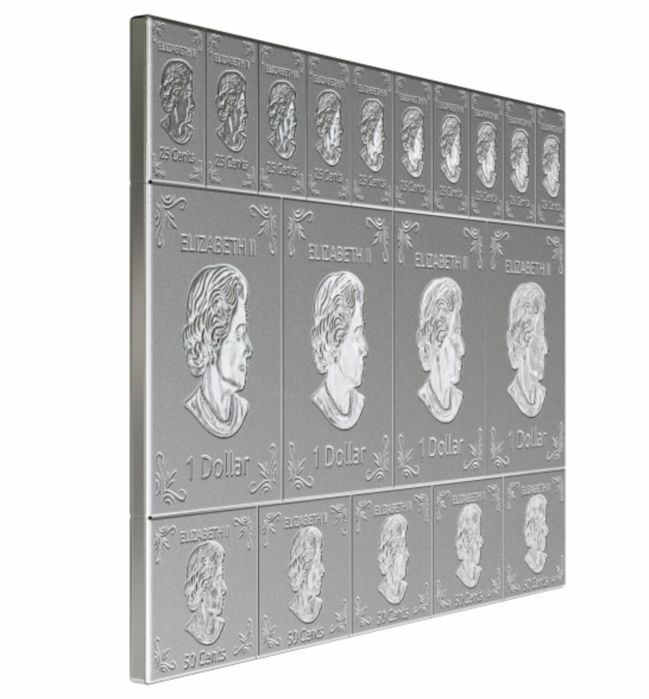 The coin bar is therefore divisible into different sized bullion pieces.